Visitors to Asia may have had the thrill of wandering an expansive night market, sprawling for blocks on end and vending all sorts of treasures, practical items, and of course, food. Travelers can rest assured that they don't need to fly across an ocean to experience the wonders of such an outdoor market. 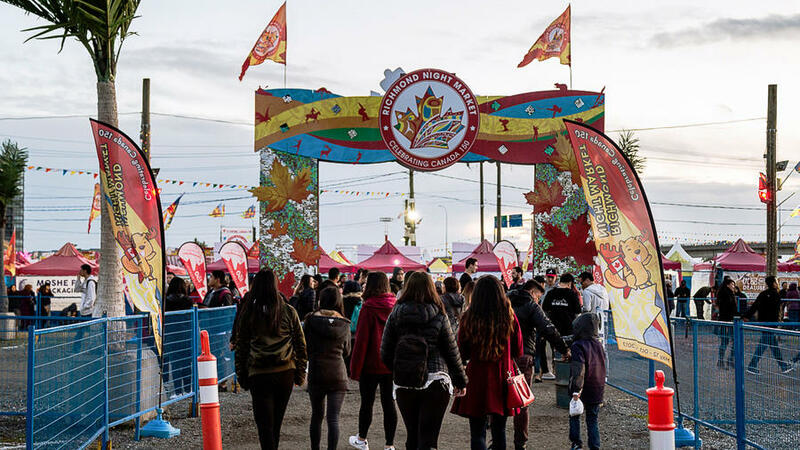 Just outside Vancouver, Richmond, B.C.—a suburb with a nearly 75% Asian population and a Mecca for Chinese cuisine—hosts its very own night market that rivals any in the Far East. 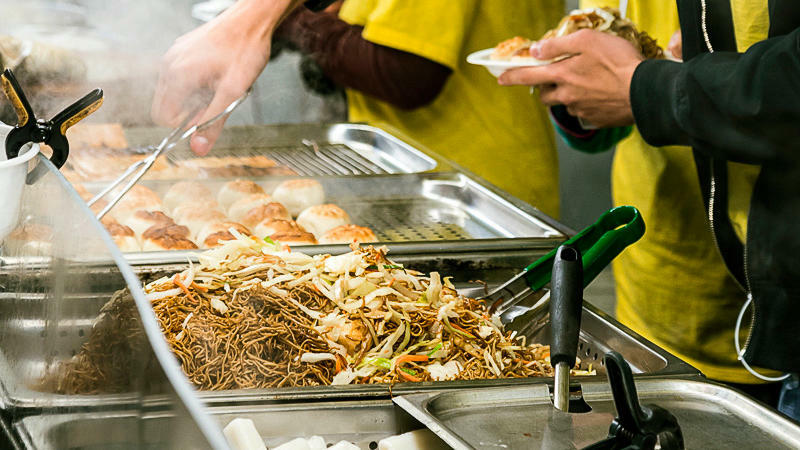 The Richmond Night Market boasts over 100 food stalls where Asian snacks, street food, fusion dishes, cocktails, and more treats are sold. 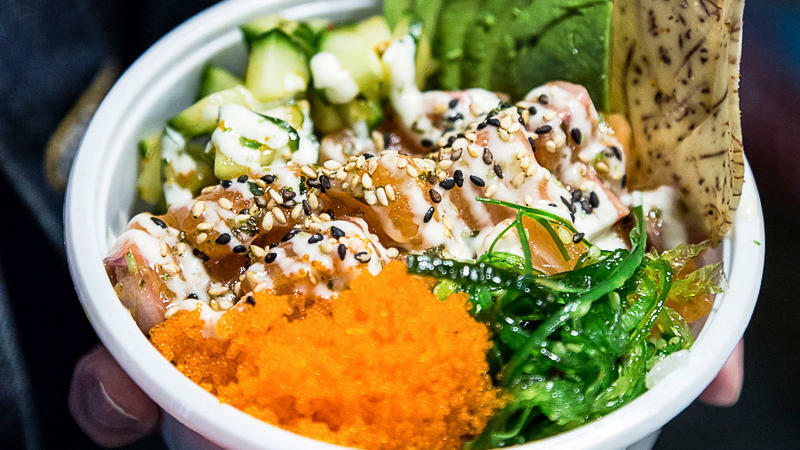 Come along on our virtual tour of our favorite market eats. One of many dim sum stalls at the market, hawking such favorites as steamed bao, dumplings, and more. 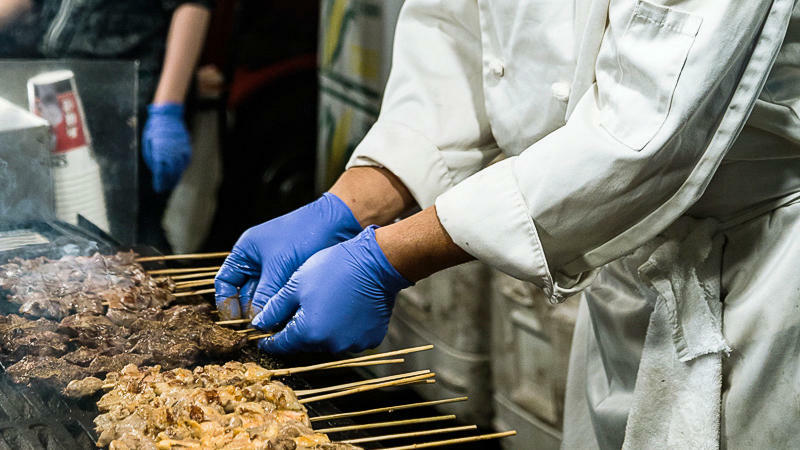 Chef James Chen of Chef James Xin Jiang Man BBQ grilling up his signature skewers. 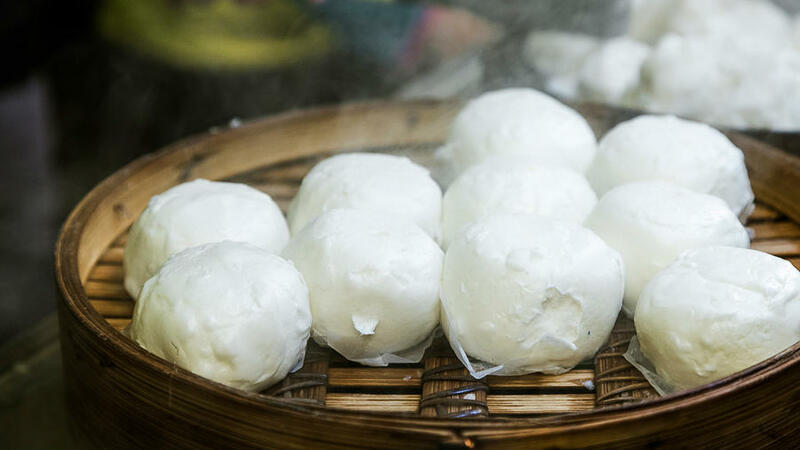 Liu sha bao, or steamed salted egg yolk custard buns, reveal a sweet, semi-molten eggy custard inside when you take a bite. They're so tasty, you can't eat just one! 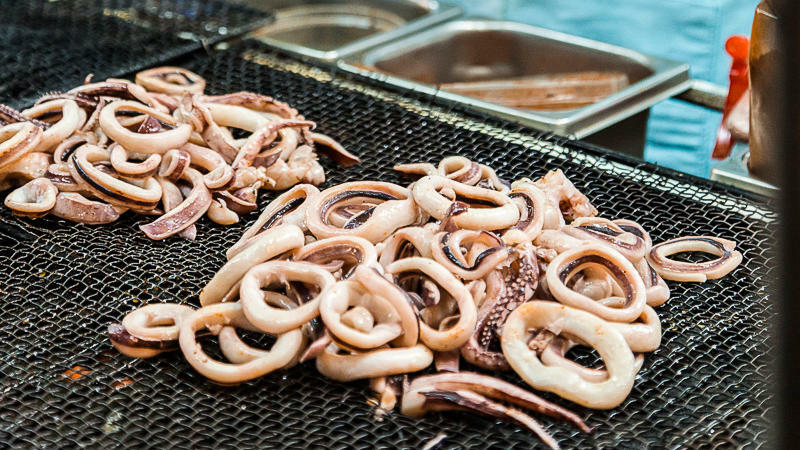 A popular item at the market, grilled squid is made at myriad stalls. 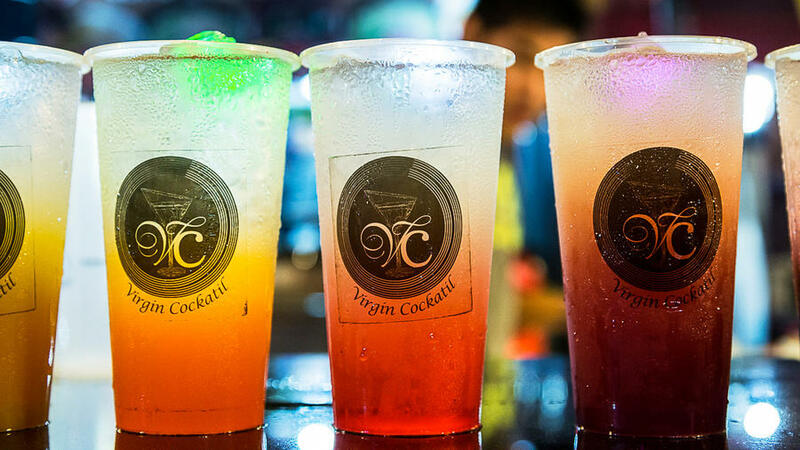 An assortment of drinks at the Virgin Cocktail stall. 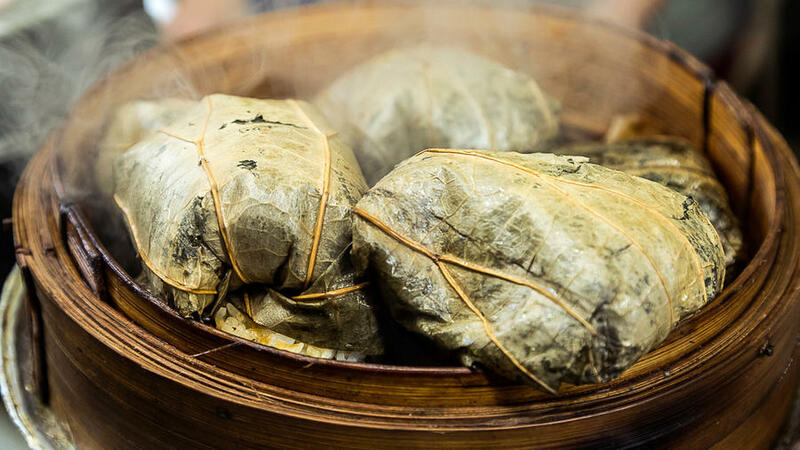 Lo mai gai, or sticky rice wrapped in lotus leaves, is a traditional Chinese dim sum dish. 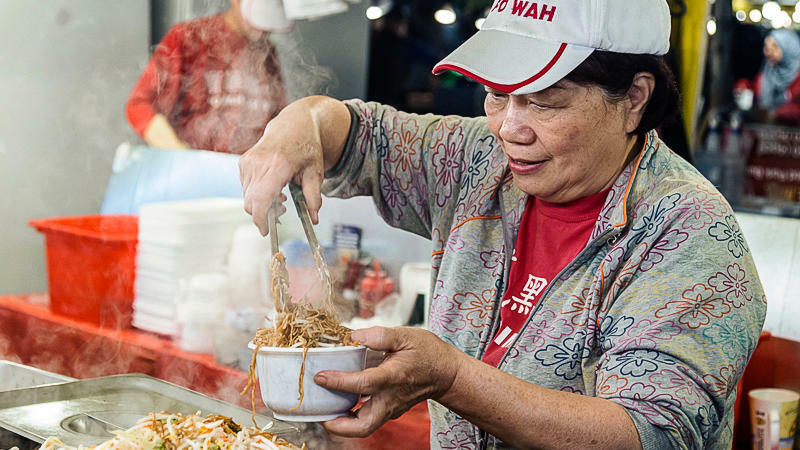 Serving up soy sauce noodles at the popular stall. Tuna poke at Ohana Poke by Chef Benedict Lim. 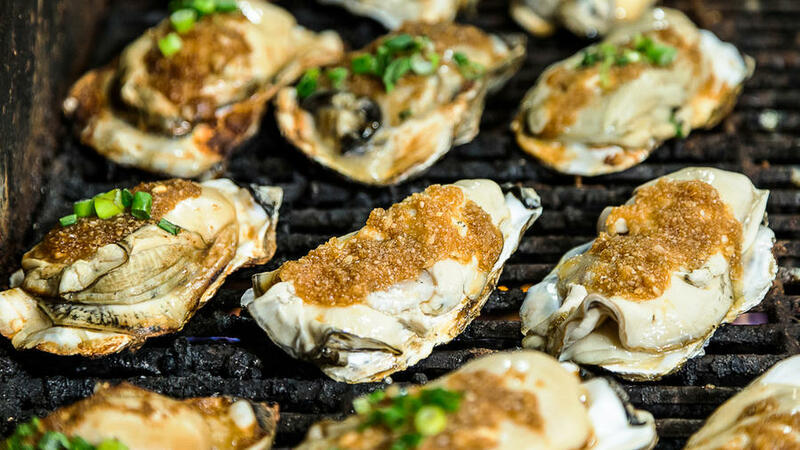 Oyster and scallop bbq at the eponymous stall. A Night Market favorite! 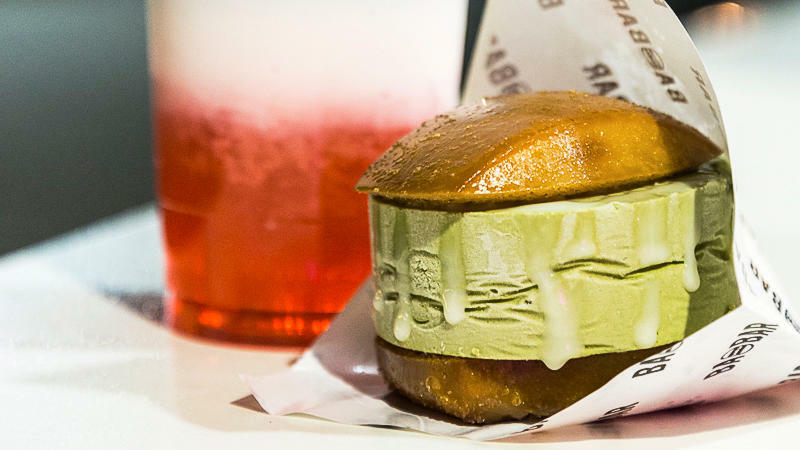 This dessert stall with a cult following creates ice cream sandwiches out of deep-friend mantou (Chinese steamed) buns and matcha ice cream. The treat is served with a milk cha (a.k.a. milk tea) layered drink. 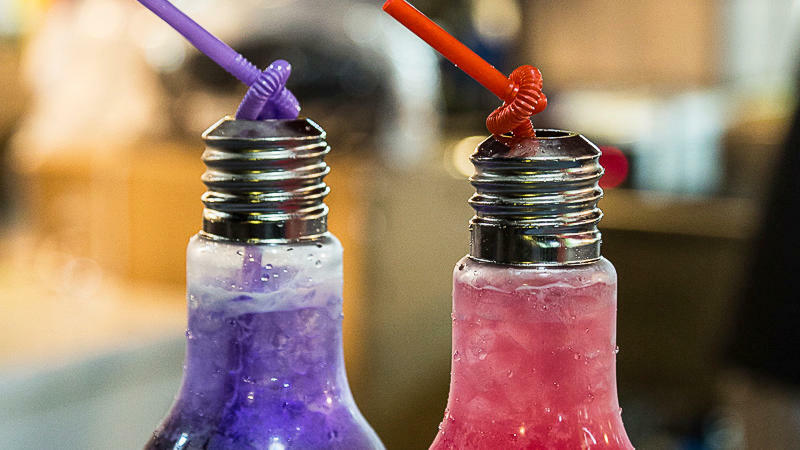 Rainbulb's colorful grape and strawberry sodas, creatively served in upcycled lightbulbs. 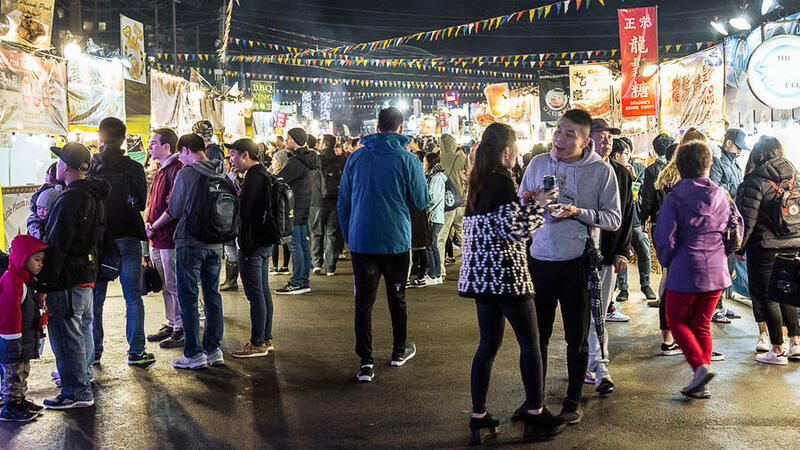 Richmond Night Market is open May 11 to October 8, 2018; 7pm-midnight Fridays and Saturdays, 7-11pm Sundays and holidays. $3.75; free for children 10 and under and for seniors 60+.